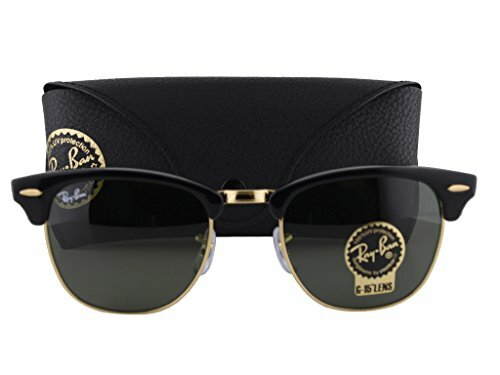 Ray-Ban RB3016 Clubmaster Sunglasses Black Gold w/Gray Green Lens W0365 RB 3016 by Ray-Ban at Laurenee Lifestyle. Hurry! Limited time offer. Offer valid only while supplies last.